Marketing automation platforms like Hubspot, Pardot, Eloqua and Marketo are serious investments. Unless you are a startup (more on Hubspot’s plan for startups here), you are likely looking at a price tag of over $10,000 a year to begin leveraging the power of marketing automation. Most providers insist on upfront annual contracts, meaning that you pay a hefty sum upfront, whether you have your house in order or not. Note: I’m making the assumption that you understand what marketing automation does, but if not, check out this What Is Marketing Automation post. Overall, I am biased. I help companies implement and improve marketing automation, Content Marketing and Inbound Marketing strategies and technology. I’m pretty passionate about why companies should be using marketing automation (more on that here). But often I surprise companies that get in touch with me when I tell them they aren’t ready yet. As much as I’d like to work with them and help them get value out of a Hubspot implementation, they don’t have the prerequisites in place to see an ROI from marketing automation and over time they’ll waste money on it (which in turn looks bad on me). Generally, when I first speak with organizations considering purchasing a marketing automation platform (or pursuing an Inbound Marketing or Content Marketing strategy), I ask them about their culture, goals and dig in on the questions below to determine their Marketing Automation Readiness. That is, the current state of their organization and likelihood that they can obtain a desirable ROI from the investment they are considering. Marketing automation is powered by two things, a technology platform (which you can easily purchase) and great content marketing (more on that below). Someone still has to manage that platform though. Some companies choose to completely outsource their marketing automation, but I always recommend against this. You’ll never send as many emails, think up as many creative ROI generating workflows or automate as many tasks if a third party is doing it for you. Getting an interested internal party to “own” your marketing automation platform is a must. Generating content like weekly blog posts and promoting them on social media takes time. And in my experience, if it isn’t part of someone’s job, it becomes a failed side of desk project. You know – the projects sitting on the side of your desk that you will get to…but never do. Regularly blogging drives content generation that can be distrbuted via email, social media and even turned into long form content (more on that in a bit), it is a core component of content and inbound marketing. If you don’t already have plans for a newsletter, start now. Sending regular, segmented emails is one of the easiest and sure fire ways to generate traffic to your site. Marketing automation gives you a dead simple way to do this, so take advantage of it. A big part of marketing automation’s job is to empower the Sales team with intelligence on leads and opportunities. For example, what pages on the site a lead looked at, when they returned to the site, what sales emails they opened etc. None of that is effective without a CRM. So whether using a built in CRM (like Hubspot’s CRM) or syncing to an external one like Salesforce, be sure you make this part of your plan. Form blocked content like ebooks, videos, case studies and white papers are part of the core of any marketing automation strategy. You need to create content that is of enough value that people are willing to pay for it with their personal information. Essentially they trade some details about themselves, like their email address and name in exchange for access to this content. Creating that content doesn’t have to be hard and done in one sitting. Here is a tutorial on how to easily create ebooks from your blog. You might also check out wochit homepage (disclosure: client) and their free platform for easy online video creation. Writing compelling content is just the first step. That content needs imagery to make it exciting. You need feature images for blog posts (like the one above), embedded images, ad units, email headers and many other pieces of creative to get the most out of your marketing automation and content marketing efforts. Get a good designer to create some easy to use, layered .psd templates for you and an Adobe Cloud account to update a new piece of creative for each post. You’ll save a lot of money this way and your product will look a lot more refined. Already have these items in the queue and ready to go? You might find “The Four Things to Consider When Choosing a Marketing Automation Platform” post helpful. 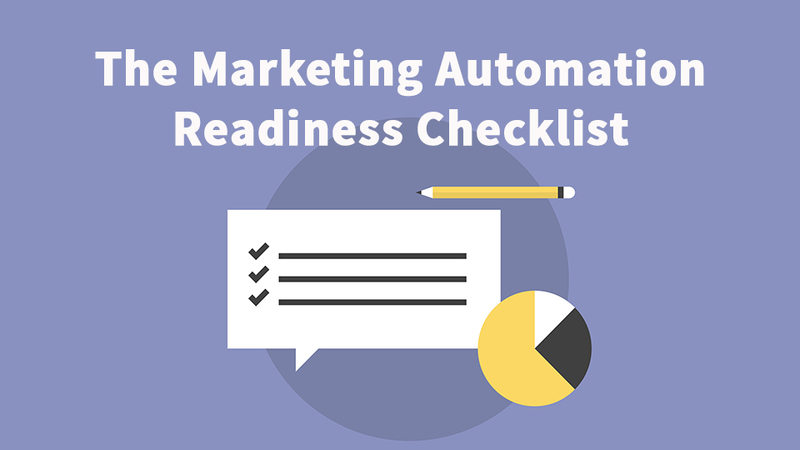 Have questions about how to prepare for implementing a marketing automation platform? Click here to get in touch.